our moods & state of mind. The easiest ways to transform, uplift, or change our space is by the colors we choose. Studies have shown that color can calm, reduce stress, introduce vitality and energy, and affect our outlook on life. I use color in my art to help people in their life through healing, and as a way to express the beauty and vibrancy of the painting. It is another way that I can communicate emotion and depth of feeling. Each color has a different effect on us and its own unique characteristic. The colors around us in nature, our home, our work environment… feed us constantly, whether or not we are aware of this. There are two responses to color. The first is psychological which is the human response to color. It is based upon our learned reactions, personal experiences, cultural conditioning and early childhood memories. The second is Physiological. It is our Instinctive response to color- how we react to color even with our eyes closed. The use of color as a form of therapy dates back to the ancient therapeutic practices of Egypt, Greece, India & China. Each color provides its own unique benefit that affect us physically, emotionally & spiritually. It has a profound effect on our moods, emotions and our health. Some colors are depressing & draining and others are uplifting & balancing and have the power to generate a sense of well-being and ease. The light around us contains the full spectrum of colors. Many people feel better & more cheerful on a sunny, light day than on a gloomy, dark day. 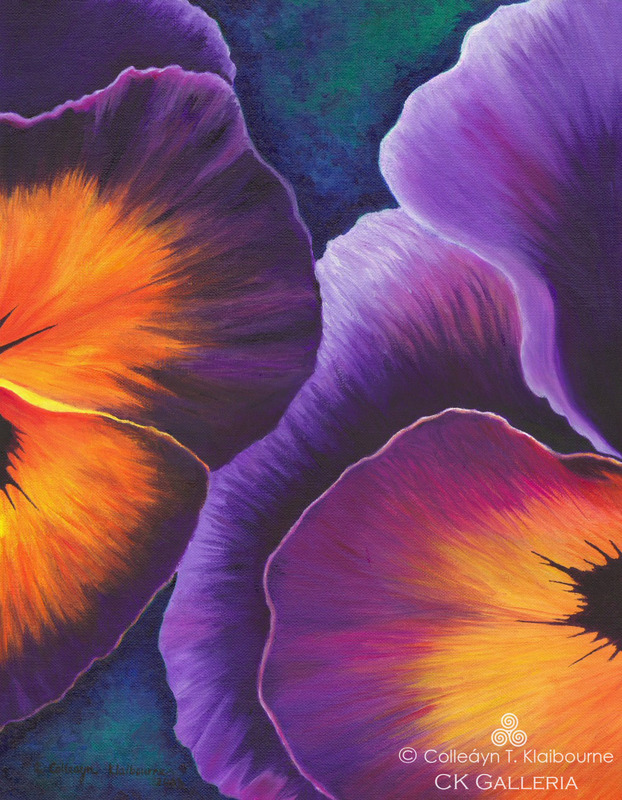 The colors in art can also help lift our spirits and each color’s vibration is associated with different attributes and qualities that can help us. Following are some examples of the colors we see daily and how we can use them to create the best environment, style, and success in our lives and to create environments that are comfortable to be in as well as aesthetically pleasing. See, through your own eyes, how different colors and pieces of art can bring about inspiration and vitality. Warm colors such as red, yellow and orange bring comfort and warmth. Cool colors such as green, turquoise, blue and purple are calming, cooling and peaceful. Red is stimulating and can excite. It is also the color of love. Orange is happy, warm and joyful and boosts self-esteem & creativity. Yellow brings cheerfulness, laughter, decisiveness & mental clarity. Green is the color of tranquility, balance, serenity and growth. Blue brings calmness, serenity, wisdom & loyalty and can curb an appetite. Purple is the color of wealth & royalty, mystery, sophistication and spirituality. Pink represents love & gentleness and helps people feel calm and safe. Color creates the mood and the feeling of any environment. Art is an easy way to uplift and create life, beauty, elegance and sophistication in your surroundings. If you wish to create a relaxing, soothing, and calming environment, choose colors such as blue and green. If you wish to bring more joy, excitement and passion into your life- reds, burgundy, yellows and pink are good color choices. Experiment with color and see how you feel. Trust the colors you are drawn too. Using accents and signature pieces of color is an easy and safe way to create positive results in your life.